Always Fear The Falcon Punch In Smash Bros.
Last weekend, a tournament called Zenith was held at the NYU Game Center. Top Smash Bros. players participated in the tourney, and while it's all worth watching, one particular moment made the crowd go wild. It's all thanks to a well-timed Captain Falcon punch. Fast-forward to about the 9-hour and 30 minute mark. Alternatively, simply watch this YouTube upload by CLASH Tournaments—though you won't be able to see the crowd's reaction. Here, you'll see the start of a play where player Mew2King—who is using Captain Faclon—reads Zero's Pit incredibly well. 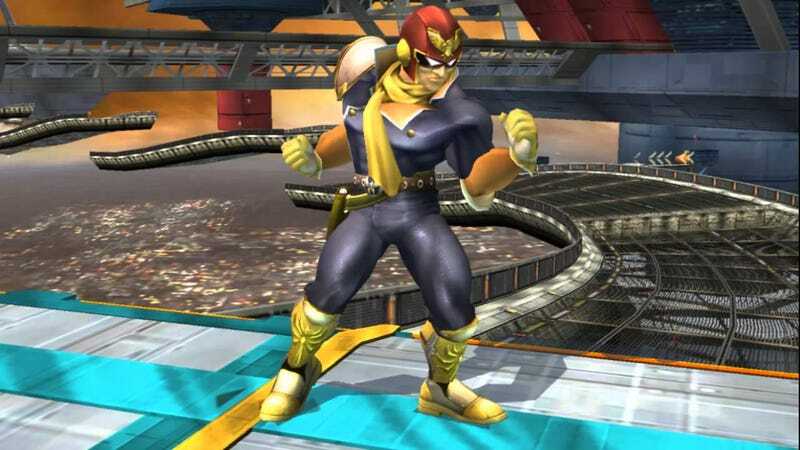 Up until that point, it almost seemed like that particular Captain Falcon stock was done for...but nope. You can't count Captain Falcon out. Mew2King went on to win that particular match, too.